Patient care marches forward because of the continual pursuit of new ideas, new technologies and new drug therapies that will successfully manage, and in some cases, cure, disease. Led by some of the finest scientific minds, state-of-the-art research programs within Obstetrics and Gynecology include both basic science and clinical trials. Our researchers benefit from a support system provided by our Clinical and Translational Science Center (CTSC) that focuses on education, training and mentoring for clinical research investigators, coordinators and staff. 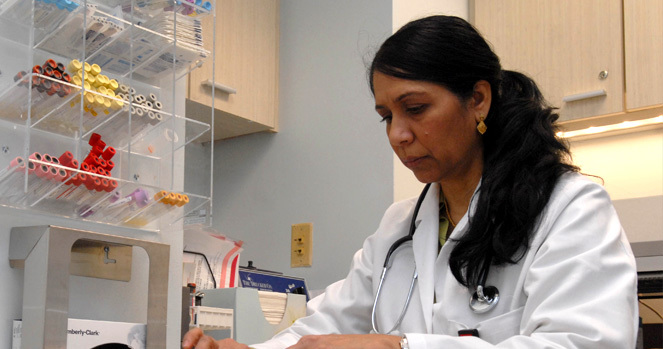 Clinical trials of new therapies and treatment are often open to our patients. Please consult your clinical team for more information.